It’s been written many times that history repeats itself. In terms of warfare that’s seldom a good thing. In terms of racing, it’s often a good thing. After all, consistency is necessary for winning in motorsports right? Right! Such is the case for the 44th running of the Orient Express Motorcycle U.S. Nationals, sponsored by Orient Express held at Atco Raceway, in Atco NJ. The race was held on September 6-8, 2013 and was run by the MIROCK sanctioning body. I’m more than happy to report that the consistency of the motorcycle version of the U.S. Nationals as being a “Big Go” is a streak that remains well in tact. Oh, the stories this starting line could tell if it could talk. Tom McCarthy photo. By recording 669 entries for their event in two days of racing in New Jersey this would be a resounding yes by the motorcycle drag racing community. This number does not reflect the Friday test and tune session fun racing. Not too shabby for a first effort. As further validation, to quote the MIROCK sanctioning body head, Jason Miller, in his own words, “I look forward to bringing back the 45th annual Orient Express Motorcycle U.S. Nationals next season on the MIROCK tour. 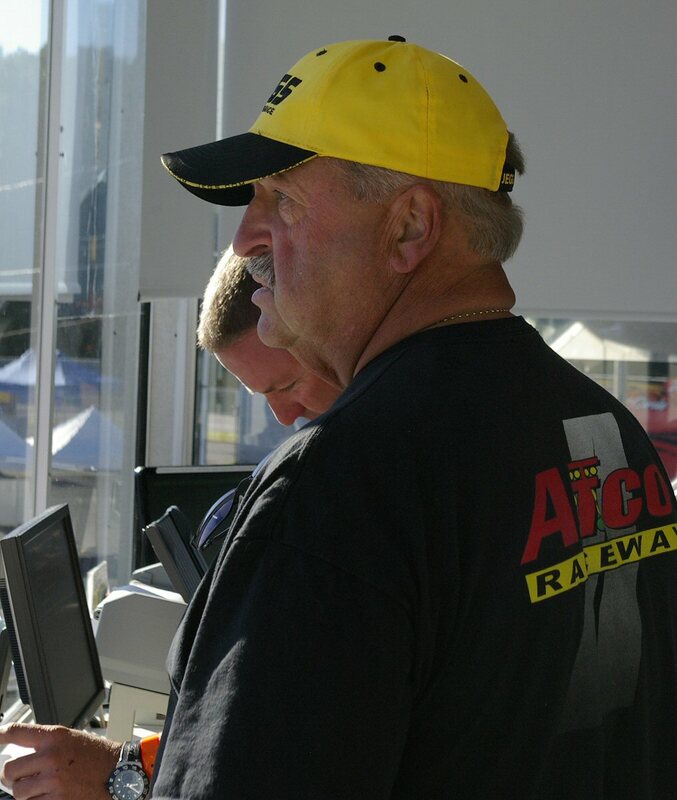 This is official, Atco’s new owner Len Capone, and I shook hands on next years event.” There is no better testament as to the success of this event than to know it will repeat next year. In looking back, 1966 seems to be the first year for this title event. This is the year when the Mid Atlantic Motorcycle Association (M.A.M.A.) first formed and created the concept of organized motorcycle drag racing giving birth to “bikes only” drag racing. 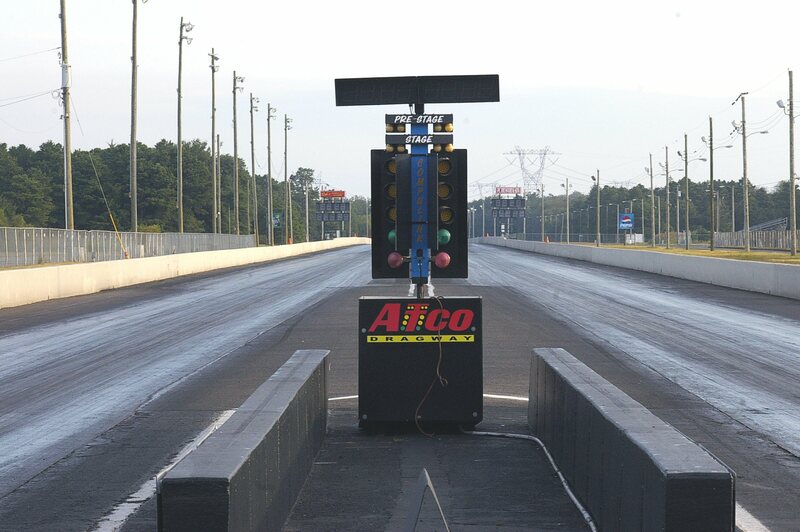 The Atco racing facility is in a sense the “Mecca” of organized motorcycle drag racing. It’s the true birth place of sanctioned motorcycle drag racing. The M.A.M.A. roots began here and that sanction later evolved into the American Motorcycle Drag Racing Association (AMDRA) which lasted until the end of the 1976 racing season. All other motorcycle drag racing sanctions today grew from this metamorphosis of these two sanctions on the East Coast – it all started with Atco. The U.S. Motorcycle Nationals, as an event, has been hosted by a number of different sanctions over the decades, at Atco, like the MAMA and AMDRA, so it’s time to look at the MIROCK sanction for racers and fans who’ve never encountered racing with the MIROCK series. Here’s an over view of how they operate and how the action unfolded at Atco in 2013. The MIROCK professional classes are Pro Mod, Pro Street, and Real Street. 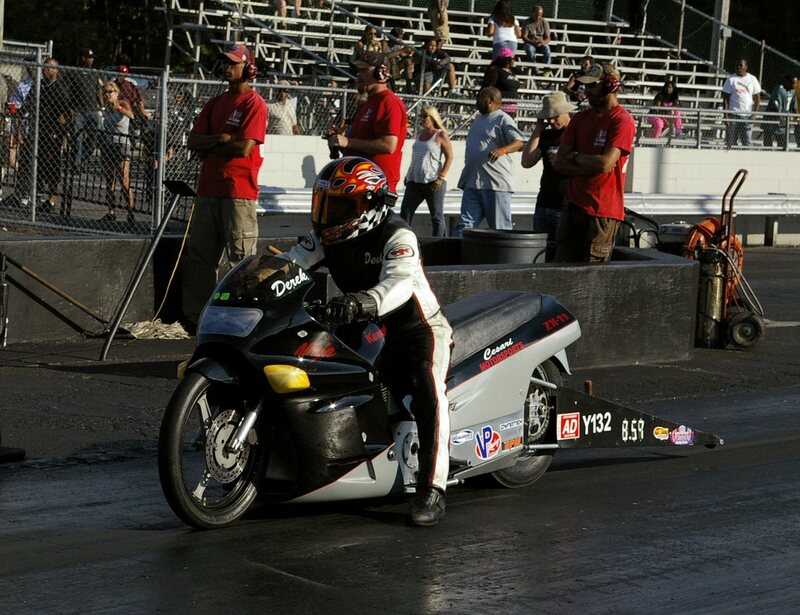 Their premier class, the Mickey Thompson sponsored Pro Modified bikes run in eighth mile format. Pro Mod of course is no stranger to modern day motorcycle drag racers or veterans of the sport. However P/M was not contested at the Orient Express U.S. Nationals in 2013. The biggest reason for this is the ADRL or American Drag Racing League had a race set for the same weekend as the Atco race and knowing the bulk of the Pro Mod bikes would be in Rockingham N.C., MIROCK wisely decided in advance not to schedule the class to run at this race. Pro Street sponsored by Orient Express, being the big dogs at this race took center stage at this event and they put on an excellent show. Eleven entries hit the pits and from the #1 qualifier, Tony Ficher on the DAS Performance Hyabusa that posted a 6.90 to the Chris Dansby bike with an 8.42 elapsed time, there was quite a spread on the qualifying sheet within the class. The top power bikes, Ficher at 209mph and Gladstone at 215 mph clearly had more power than the rest of the pack but it’s not what you have, but how you use it that wins races. Power wheelies took out many of the top bikes on the well prepped Atco race surface on race day. The team DAS 6.90 run was the second quickest pass in the recorded history of Pro Street and had all the racers on edge as Tony Ficher was standing on the first half of a new national record. All he needed was a pass of 6.977 or quicker to back it up. On Sunday the bike/rider combination proceeded to deliver, a 6.997 and a 6.98 elapsed times on the next two complete passes: close, but no victory cigar this time. It’s very interesting to note that in 1992, at the PROSTAR Orient Express, U.S. Nationals, at Atco, in the final round of Top Fuel racing, Elmer Trett defeated Tony Lang with a 6.804 pass at 190.25 mph. Tony Lang in the other lane posted a 6.95 @ 206 mph. Two decades later, modified street bikes without wheelie bars are running almost the same numbers. In the final round of racing in Pro Street, Jason Dunigan, the number five qualifier, faced Rodney Williford the number three qualifier and the race was over at the starting line with a .064 red light by Rodney. Williford fought the good fight and tried to stay in the race, but he quickly had his hands full with a wheel stand at the launch. In the mean time, Jason Dunigan just motored by for the win. Williford was second in national points coming into the Atco event. It’s very interesting to note, all eleven entries in Pro Street were all Suzuki powered machines. Real Street class racing sponsored by DME: The rules for Real Street are simple, street bikes with a stock wheel base and factory clutch are the basic requirements, and of course no wheelie bars. A .400 pro tree starts things off and the racing is heads up, fast and furious. 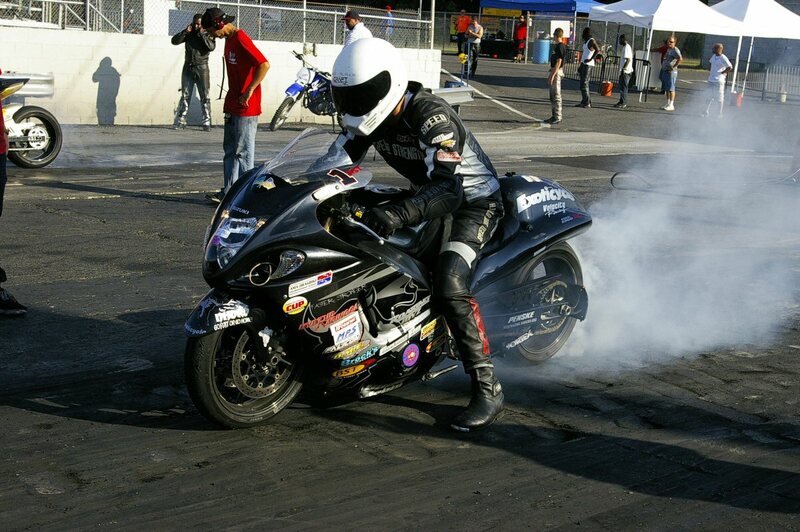 With today’s modern bikes seven second elapsed times at close to 190 mph is the norm in Real Street racing. 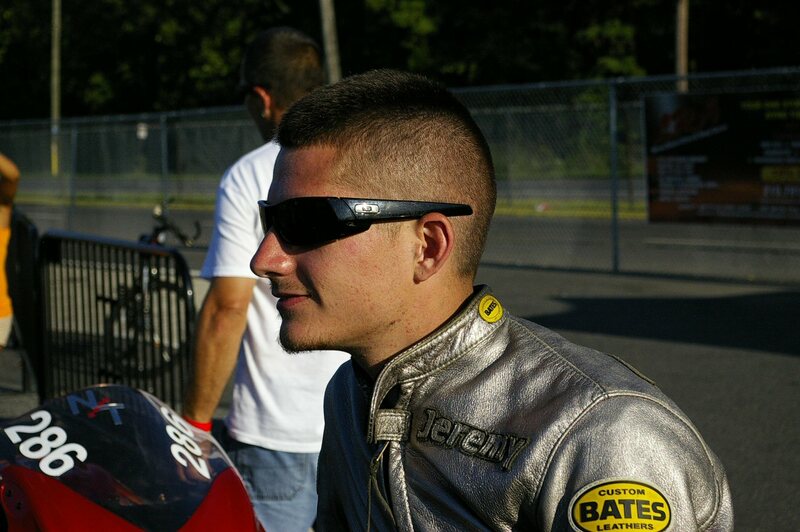 At the Orient Express, Motorcycle U.S. Nationals, at Atco, Darion Payne, of Fredericksburg, Va qualified number one with a 7.78 elapsed time to earn himself a bye run in round one. Number two qualifier, John Dobrin, of Sarasota, Florida posted high mile per hour for the meet with a 190.06 blast that announced he was the one to watch. With fifteen bikes entered in R/S, they had a full ladder which spoke very well for the class. There were some real heavy hitters in the class like Jeremy Teasley, Ricky Gadson, Del Flores and Lee Shirts. This class produced some of the best side by side racing of the weekend. Dobrin and Payne slugged it out in the final round with John Dobrin taking the win with a 7.84 to Payne’s 7.91 elapsed time. It’s interesting to note; of the fifteen bikes entered in Real Street, only two were not Suzuki powered bikes, Gadson and Teasely’s Kawasaki’s. Within the MIROCK racing sanction, sportsman racing is king. There are six sportsman classes for racers to choose from. No matter what a drag bike racers motorcycle configuration is, MIROCK has a class for it. Three of those choices are for index class racing. Starting with the quickest, MIROCK has a 4.60 Index class sponsored by Louis Concrete. This class is based on 1/8th mile racing, and is one extremely tough, very expensive class for sportsman racing. 200mph Pro Street bikes run close to 4.60 in the 1/8th mile, so any racer that wants to run with the big dogs in eighth mile racing on a 4.60 index, unless their bike can run a very low seven second number in the quarter mile, it would be best to pick another class. Joey Gladstone on his 215mph blast in Pro Street crossed the 1/8th mile timer at 4.65. If you can’t run with the big dogs, stay on the porch. The 4.60 class calls for a qualified field and at Atco, seven teams showed up. The closest run to the index number during qualifying was by Terry Tompkins, of Aberdeen, MD. His 4.624 was good for the number one spot and earned him a bye run in round one. Incidentally, Tyler Cammock, of Middletown, Delaware had high mile per hour in qualifying with a 157.80 in the eighth. 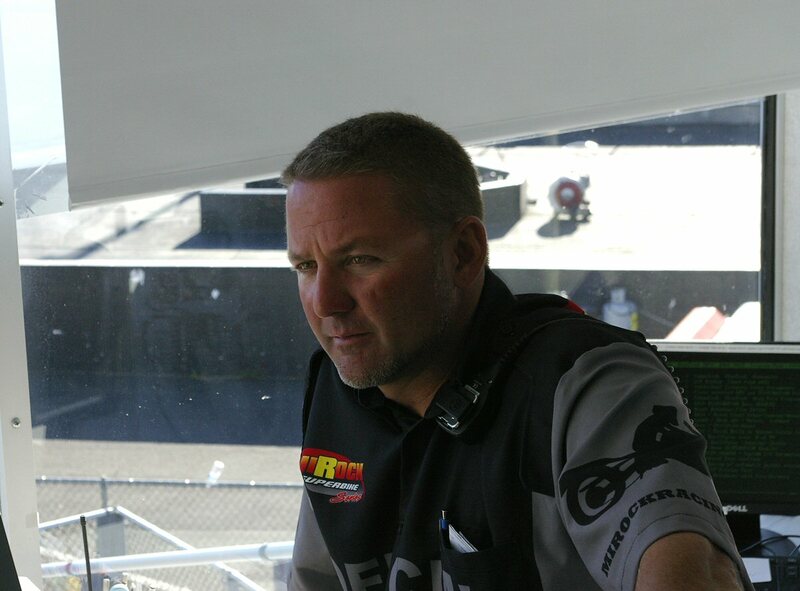 During eliminations, Kenny Cornell, of Manassas, Virginia, the number three qualifier defeated the number one qualifier Terry Tompkins. Cornell’s win was a big one for him as he came into this race just ten points ahead of Ronnie Smith, who did not attend this race. With only two races remaining in the MIROCK 2013 season, Cornell is in a firm position to win the championship in this class depending on his performance in the last two races of the season. The FBR sponsored 5.60 index class is the next hot spot in sportsman class racing. It takes a solid 8 second elapsed time capable drag bike to run the number for the 5.60 index class. Some of the racers who race in this index class also run in Top Sportsman on the same bike. Running closest to the number in qualifying for 5.60, Walter Houghtaling, of Mystic, Ct, stopped the clocks with a 5.607 shot for the number one spot. Fourteen bikes entered the 5.60 wars at Atco and in the final round, Tony Ficher of Falmouth, Ma., took out Kevin Bradley of Portsmouth, Va. for the win. Tony’s 5.603, put Kevin’s excellent 5.610 in wheel to wheel action. High mile-per-hour during qualifying went to Ashon Dickerson with a 131.09 mph posting. The final and the most popular index class in MIROCK is the Crazy 8’s, or 8.88 index class. It’s an awesome class run on a .500 Pro Tree. 38 bikes entered the class on Saturday and 42 more entered it on Sunday. Yes, this “all run” class runs to it’s conclusion each race day. Because of the way MIROCK’s rules and classes are structured, many racers can run multiple classes at the same race on the same day. Racers running in 5.60 will be found in Crazy 8’s, Top Sportsman and Pro ET. Veteran bracket bike racer Bob Carlson of Torrington, CT raced in five different classes with one bike and made over 40 passes in his three days of racing at Atco. 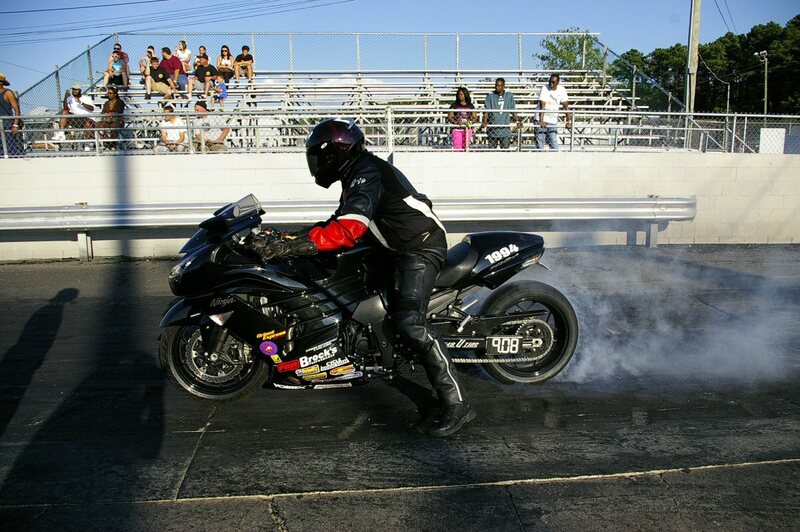 With close to four dozen bikes burning the rubber in Crazy 8’s, when the smoke cleared, Jeremy Teasley, of Columbus, Ohio, won the class on Sunday, with an 8.895 elapsed time over Jonathan Brown who posted a game, 9.02 effort that could not catch Teasley. 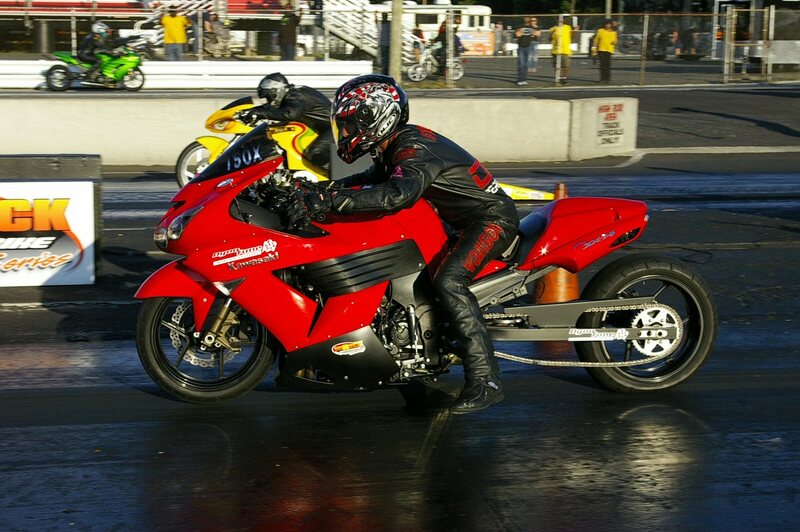 Number one qualifier in the 8.88 class was Rickey Gadson, of Hammonton, NJ with a 9.082. Teasley was number one in points coming into the Atco race, well ahead of second place Travis Bouderaux. For racers who prefer dead on bracket racing without the constraints of a set index, Top Sportsman racing sponsored by Track King Performance Clutches available through APE is the place to be. On Saturday, this class had 99 bikes entered into the class. They had to go round by round with eliminations on Saturday to whittle the class down to 32 bikes for eliminations on Sunday. What I love about Top Sportsman racing is, any bike, any motor-chassis combination works. It’s a brawl of bracket racing that the quickest ET bikes can battle with their own kind as evidenced by the final round at Atco. In the final race of the day for T/S, Derek Cesari, of Warminster, PA, eliminated Ken George of Landing NJ in one hell of a close race. Derek ran an 8.57 on an 8.59 dial, and Ken ran an 8.566 on an identical 8.59 dial. Derek’s RT was .052 and Ken’s was a .053! They were glued together for 1320’ Now that’s a drag race! In the season points race for this class, Jimmy Shifflett, Boo Brown, and Mark Schwalm are all within striking distance of one another and this championship points race will not be decided before the last race of the season. In the Fast by Gast sponsored Pro ET class beware the sharks. The best professional motorcycle bracket racers in the country can be found here. When they smell the money, look out. There are so many racers who race in Pro ET, MIROCK does not keep a points track of all the racers, but the do keep track of the winners at each MIROCK race. 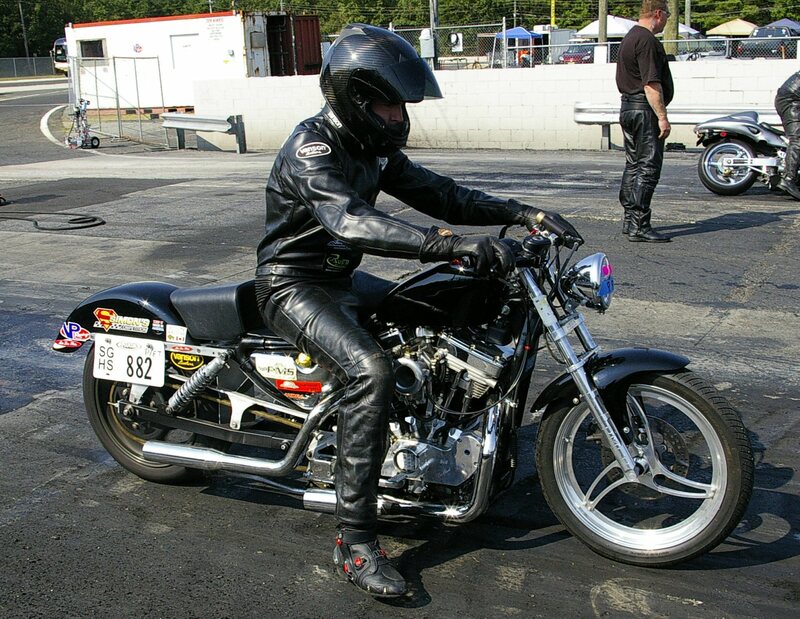 Then, at the last race of the season, the event winners are invited to a “Pro ET Tournament of Champions.” At the Orient Express Motorcycle U.S. Nationals, in 2013, Michael Rankin of Satunton, Virginia defeated Dale Hamilton of Mount Airy, MD., by running 8.812 on a 8.81 dial. Hamilton dialed a 9.62 and ran 9.635 on that number, but despite identical excellent reaction times of .021 by both racers, Rankin ran closer to his dial to win the class. In the Brocks Street ET, where the racing is anyone’s game to win (with a street bike) there are no two-steps allowed, no wheelie bars, no slicks. Entry level racing at it’s best, but beware the sharks, they lurk here too when it comes to the countries best bracket racers. As with Pro ET, there are so many racers who race in Brocks Street ET, MIROCK does not keep a points track on all the racers, but the do keep track of the winners at each MIROCK racing event. 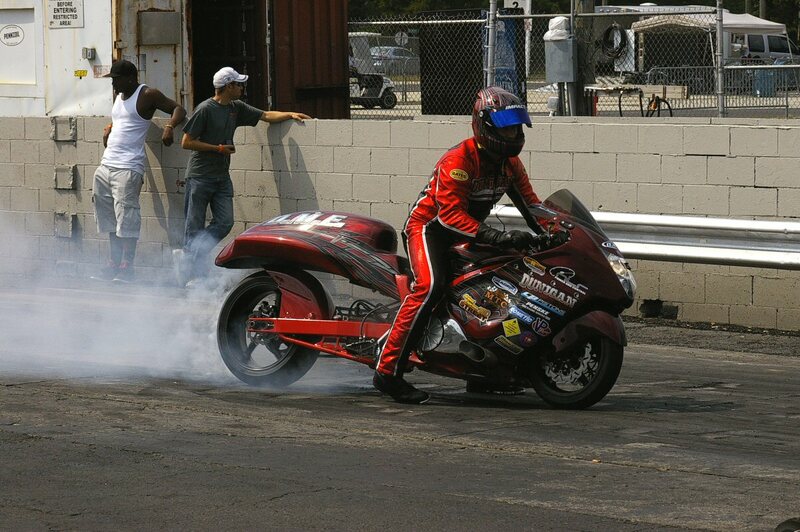 Then, at the last race of the season, the event winners are invited to a “Street ET Tournament of Champions.” At the Orient Express Motorcycle U.S. Nationals, in 2013, on Saturday, Bob Carlson of Torrington CT won the race with a fine, 9.02 run on a 8.99 dial. On Sunday, Kevin Gauntt, of Egg Harbor City NJ won the class with his 2003 Harley Davidson Sportster he races in “Hot Street” when racing in AMRA competition. Kevin chooses not to run in the NHRA Harley Davidson Drag Racing Series because with a 175$ entry fee and a possible 400$ pay out, it just not financially worth his while to travel to the races. At the Atco MIROCK race, not only did he win $1000 for winning the Brocks sponsored Street ET class on Sunday, but Jason Miller of MIROCK put up a $1000 bounty to any racer who could win in any class of MIROCK racing while seated on a Harley Davidson at the start of the race. When Gauntt won the race on Sunday, he instantly became the bounty hunter and took home an extra thousand bucks. Not a bad Sunday of racing by any racers standards. There’s one more class of racing that MIROCK is famous for hosting: Grudge racing. This class is as far from sportsman racing as you can get, but it’s not true professional class racing according to standards of racing as recognized by sanctioning bodies anywhere. And here’s a hilarious aspect about that, some of the racers make more money per race than the so called professionals do. Grudge racing is down and dirty run what you brung if you’re bad enough and if you lose tough, go home. There are very few rules, no re-runs and cash being bandied about on the starting line and in the stands. The score boards are always turned off during grudge racing, no one is allowed to know what the bikes really run but Grudge bikes have been known to call out Pro Street bikes and send them packing. As a general rule Grudge bikes don’t like to do this because with a P/St bike’s numbers being known, it’s academic that the Grudge bike is at least that fast & then some. Covert affairs and Grudge bike racing are one and the same. The less an opponent knows about one another the better. EDITORIAL NOTES: After having been to a few motorcycle drag races since 1981, and having worked in the industry full time as a professional, I’d like to share my personal observations on MIROCK as a sanction and it’s interaction with the Atco staff relative to the race on September 7th & 8th I attended. 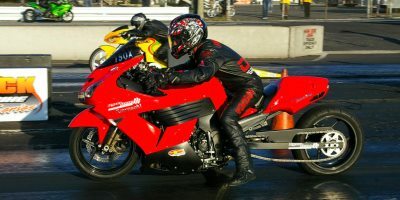 To a novice attending a motorcycle drag race for the first time, they would never know this was a first effort collaboration between this sanction and this race track’s staff. They worked that well together. This speaks very highly of Jason Miller’s MIROCK travel staff and Joe Sway who headed up the Atco effort. The interaction between Jason Miller and Joe Sway was excellent in race central. On more than one occasion I saw either Miller or Sway addressing a difficulty before the other one could get to it. In short, they worked very well together. Announcers Mad Max Scherwin and Tony Williams were on their A-game all weekend. And while the announcing was first rate, I did here more than one complaint from racers that the sound system was not clear in the pits. However, there is local broadcast on FM radio, so there’s no reason racers could not tune in and get clear announcements. Racer’s for the most part were quite pleased, the ones I heard from, about their Atco experience. I did hear complaints from racers who are partial to racing down south where they have raced for years. Things are a little more laid back down there. When the betting get’s hot and heavy during the Grudge racing, racers and their crew are used to being “up close and personal” with the racers and their bikes. Not just the race team, but the fans of that particular bike and rider. Up north a clear starting line is more in line with normal track operations, there are no spectators allowed on the starting line area on NHRA race tracks up north. This contention for some brought a level of discomfort for some race teams who voiced their opinions with race operators. What’s important here is that racers felt comfortable enough to speak up and the event staff didn’t brush them off but heard out the racer. School is out as to will that racer return next year, but the important element is issues are being addressed and this keeps racers and staff in check, lines of communication are open. There must be a system of checks and balances to keep power where it belongs: on the track. From the indications I saw at Atco, this race will only get bigger and better. Note: All photographs are © Tom McCarthy, 2013, all rights reserved, no photographs or portions of this story may be copied , conveyed or transferred via any means without the express consent of the author. McCarthy has many photos from this event. To purchase one that you see displayed or to inquire about what else Tom has, please leave a comment below with your contact information and he will get a hold of you. And if you enjoyed this article, please purchase McCarthy’s must-read book on the legendary Elmer Trett from Schnitz Racing. It’s a great history lesson and an entertaining read for any fan of the sport. Special thanks to Jim Gwalick, Roy Strawn, Tony Williams, and Richard Gadson.